When dating on certain products drops below a year, manufacturers offer to unload these drugs at steep discounts. 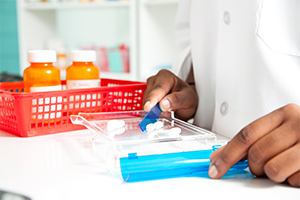 By stocking short-dated units of commonly dispensed or expensive medications, you can save significantly. However, tracking down vendors who have the short-dated NDCs you want can be a challenge. Real Value Rx offers a solution for our customers! You can receive individualized pricing analytics for FREE through our Real Value Analysis program. No membership fees required! We offer this complimentary service exclusively to our pharmaceutical distribution customers. An analysis will let you know exactly what medications you could be buying for less through Real Value RX. During a Real Value Analysis, we simply compare the costs you are paying for specific drugs to the price we would charge for the same item. Next, we deliver a personalized report to you, detailing how you can take advantage of savings on medications for your pharmacy. The analysis will list the NDCs you should be sourcing from us, and how much you will save on each one. Contact your sales manager to receive your free Real Value Analysis, and be better prepared to make smart purchasing decisions for your pharmacy or healthcare business. Not a customer yet? Sign up and take advantage of all we offer. Incorporating high-reimbursement drugs into your portfolio of dispensed medications is a key to business success. That’s why, in addition to low prices, we maintain a diverse catalog of top-performing items that contribute to maximized profits. When you partner with us, you’ll also have sales managers who understand your pain points. They make it a top priority to offer targeted business solutions and services for your unique pharmacy. We can introduce you to new generic drugs that are entering the market. Real Value RX stays up-to-date on prescription drug approvals, and we’re here to assist you during new product launches. Transitioning from a brand to a newly launched generic is simpler with our assistance.